Google executives are concerned that Samsung's influence on Google's Android operating system is too strong, and the search giant is turning to its other Android partners in hopes of getting back some leverage on the South Korean conglomerate. The Wall Street Journal on Tuesday carried word that Google is concerned about Samsung's preeminence in the Android smartphone segment. Samsung, chief rival to Apple, accounts for about 40 percent of Android device sales. 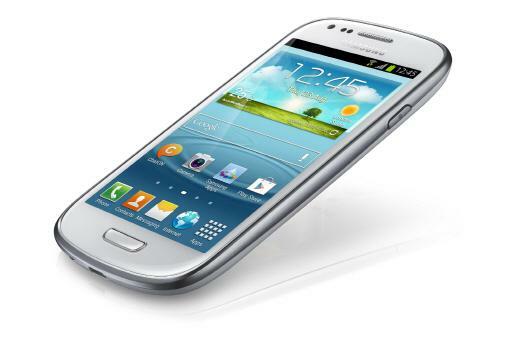 Samsung shipped 215.8 million smartphones last year, most running Android. That figure accounted for 39.6 percent of the global smartphone market. In addition to its 40.2 percent share of Android-based smartphones, Samsung also manufactures about 27.9 percent of Android tablets on the market, up from 15.6 percent in 2011. In terms of who is making money off smartphones, the picture is even more grim, with Apple and Samsung estimated to grab 106 percent of smartphone profits when taking into account losses by other manufacturers' mobile divisions. Google executives, The Journal holds, worry that Samsung could use its position as the leading Android manufacturer to renegotiate its arrangement and eat into Google's mobile-ad business. With that in mind, the search giant is said to have met with other manufacturers at Mobile World Congress in Barcelona in the hopes that their devices could challenge Samsung. Currently, Samsung receives more than 10 percent of the revenue Google generates from mobile search. The fear, according to reports, is that Samsung could demand a higher share of the online advertising revenue Google gets from Android devices. Possibly worse, the company could "fork" Android  much in the same way that Amazon has for its Kindle Fire line of devices  and cut Google out of the equation entirely. Alternately, Samsung could shift its devices to its own operating system, dubbed Tizen, which features a limited degree of interoperability with existing Android apps. Google, though, is not without recourse. Should its relationship with Samsung take a turn for the worse, the search company could increase its efforts to improve the standing of Motorola, which it bought last year for $12.5 billion. Already, Google is said to be working on a "game changing X Phone" within Motorola. Such a device, should it live up to the hype, would have the triply beneficial effect of reestablishing Motorola, further combating Apple, and balancing Samsung in the Android sector.